Peter Long on Chess: Dilwen Remains No. 1! No, it's not an April's Fool joke! Dilwen Ding remains No. 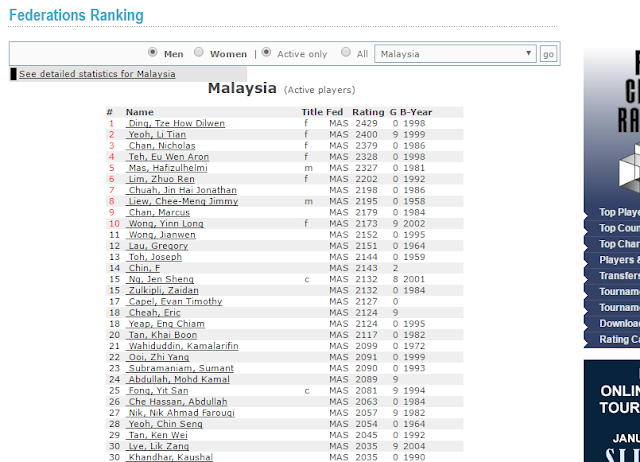 1 in Malaysia - at least that is what FIDE says - despite not playing in the Malaysian Championships. Yeoh Li Tian's fantastic 8/9 there and winning a round before the end in Sabah (as he too often does in local events) was just not good enough to close the gap, and as he says, he remains (and is just) the No. 2 ranked U-18 player! Sir, I can't get the main idea u want to tell in this article. 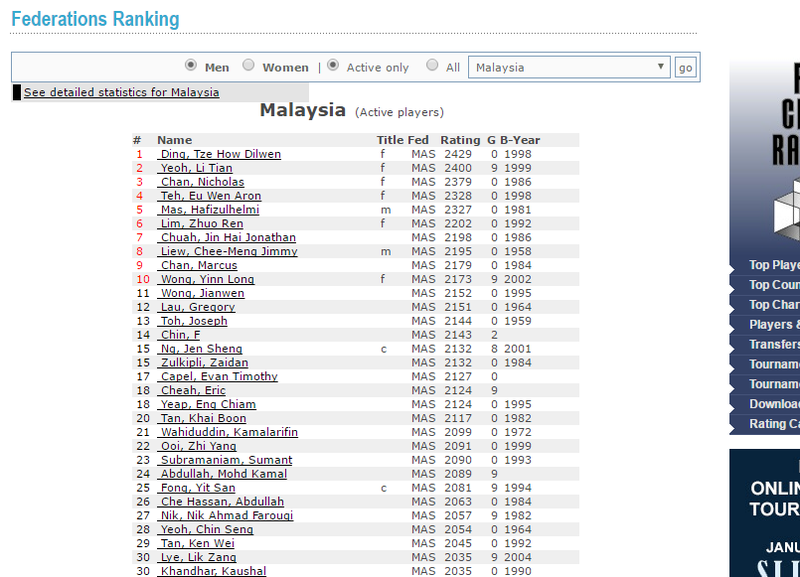 Why can't Dilwen Ding be the No.1 in Malaysia? It's April 1 and he is... but not many people know! The Cult of Kirsan Ilyumzhinov?